If cinema and television, as the dominant media of the twentieth century, shaped and reflected the cultural sensibilities of the era, how do 21st-century media help to shape and reflect new forms of sensibility? Various attempts to identify the defining characteristics of these newer media (and hence their salient differences from older media) emphasize that they are essentially digital, interactive, networked, ludic, miniaturized, mobile, social, processual, algorithmic, aggregative, environmental, or convergent, among other things. Recently, some theorists have begun to say, simply, that they are post-cinematic. This perspective, which in many ways guides the present collection, is not without its dangers; for example, the term “post-cinema” may seem reductive, too blunt to account for the long and variegated list of adjectives that characterize our current media landscape. And yet the term has a clear advantage in that it helps us to recognize this environment as a landscape, rather than merely a jumbled collection of new media formats, devices, and networks. To say that 21st-century media are post-cinematic media does not, however, deny the heterogeneity of elements composing the landscape. Rather, post-cinema is a summative or synoptic notion of a special sort, one that allows for internal variety while focusing attention on the cumulative impact of the newer media. To employ the term post-cinema is, first of all, to describe this impact in terms of a broad historical transformation—emblematized by the shift from cinema to post-cinema. It is in this regard that we find another advantage of the term; for rather than positing a clean break with the past, the term post-cinema asks us more forcefully than the notion of “new media,” for example, to think about the relation (rather than mere distinction) between older and newer media regimes. Post-cinema is not just after cinema, and it is not in every respect “new,” at least not in the sense that new media is sometimes equated with digital media; instead, it is the collection of media, and the mediation of life forms, that “follows” the broadly cinematic regime of the twentieth century—where “following” can mean either to succeed something as an alternative or to “follow suit” as a development or a response in kind. Accordingly, post-cinema would mark not a caesura but a transformation that alternately abjures, emulates, prolongs, mourns, or pays homage to cinema. Thus, post-cinema asks us to think about new media not only in terms of novelty but in terms of an ongoing, uneven, and indeterminate historical transition. The post-cinematic perspective challenges us to think about the affordances (and limitations) of the emerging media regime not simply in terms of radical and unprecedented change, but in terms of the ways that post-cinematic media are in conversation with and are engaged in actively re-shaping our inherited cultural forms, our established forms of subjectivity, and our embodied sensibilities. These changes have only begun to be theorized, and emerging perspectives are just starting to enter into dialogue with one another. In this collection, we have gathered key voices in this budding conversation, including pivotal statements from some of the more prominent theorists of post-cinema, along with essays that extend the work of theorizing a critical aesthetics and politics of film culture today. The contributors to this conversation—and we hope, above all, that this book contributes more to a conversation than to a worldview or yet another critical “turn”—are widely diverse in their theoretical and analytical orientations, outlooks, and commitments. To this extent, it is incorrect to speak, in the singular, of the post-cinematic perspective; rather, the authors assembled here represent a range of different and sometimes divergent perspectives on post-cinema. Indeed, not all of them would endorse the description of the term offered above; some of them might reject it outright. And yet all of them have found it useful, for one reason or another, to address the ongoing changes in our moving-image media and the lifeworlds they mediate in terms of this conversation about a shift from cinema to post-cinema. In order, then, to best represent the variety within this burgeoning critical discourse on post-cinema, we have included both established and emerging scholars—people who not only have a variety of scholarly investments in the term, owing in part to their various academic generations and to the vicissitudes of disciplinary fashions and politics, but who also have very different experiences of the changes in question, owing more directly to the material facts of age, gender, and national and other backgrounds. For whatever post-cinema might be, it is surely not a transition that can be accounted for in identical terms for everyone, everywhere. We certainly do not wish to suggest any kind of grand narrative or teleological story about post-cinema as a determinate, unified, and global successor to cinema. But nor will the collected essays bear out any such story. Instead, this book’s chapters engage collectively in a conversation not because their authors always agree with each other in their assessments or evaluations of post-cinema—or even about the best way to speak about it—but because they agree to make an effort to find the terms that would allow them to articulate their commonalities and their differences. The essays take as their critical starting-points concepts such as David Bordwell’s “intensified continuity” and Steven Shaviro’s “post-cinematic affect” and “post-continuity”—concepts that are in many ways opposed to one another, but which help to stake out a common field upon which to position oneself. 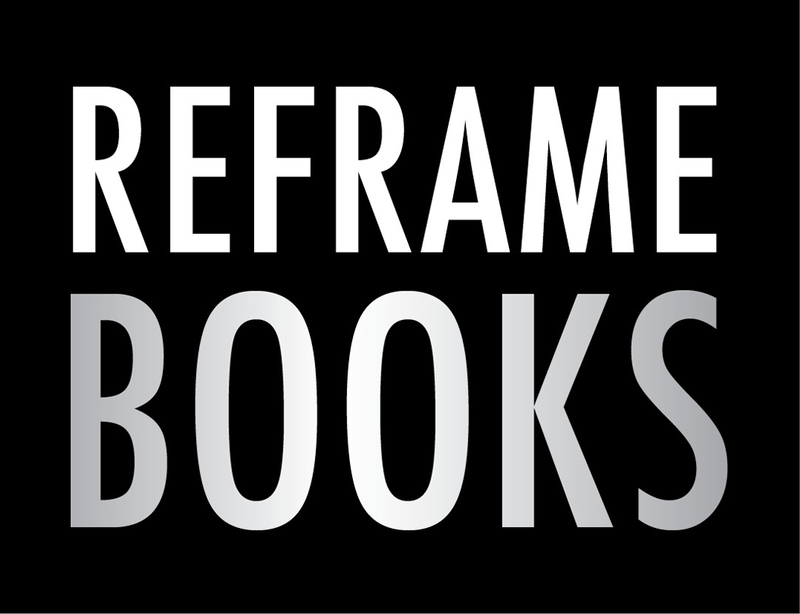 The chapters expand and build upon the ideas of these and a range of other thinkers, with the goal of coming to terms with an apparently new media ecology that requires us to search for a new critical vocabulary. These essays explore key questions in breaking this new ground, seeking and articulating both continuities and disjunctures between film’s first and second centuries. Questions of aesthetics and form overlap with investigations of changing technological and industrial practices, contemporary formations of capital, and cultural concerns such as identity and social inequalities. The impact of digitization on taken-for-granted conventions is also in play: intermediality, new forms of distribution both licit and illicit, academic and critical reliance on genres and discrete media formats—all of these come under scrutiny as paradigms shift in the post-cinematic era. Tapping into this exciting ongoing critical conversation, Post-Cinema: Theorizing 21st-Century Film explores the emergence of a new “structure of feeling” (Williams) or “episteme” (Foucault) in post-millennial film and other media, one that is evident in new formal strategies, radically changed conditions of viewing, and new ways in which films address their spectators. Contemporary films, from blockbusters to independents and the auteurist avant-garde, use digital cameras and editing technologies, incorporating the aesthetics of gaming, webcams, surveillance video, social media, and smartphones, to name a few. As a result of these developments and reconfigurations, the aesthetic boundaries between art-house film and blockbuster have become increasingly blurred as the mechanisms and perspectives of classical continuity are formally and materially challenged by a post-cinematic media regime. 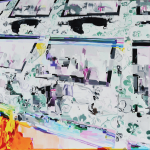 Changes in reception practices, too, necessitate new theories of spectatorship, commodification, and convergence, as the growing body of work on digital media documents. Material access to and experiences of media vary widely around the world and among different groups within a given cultural context, in ways that influence development in relatively new areas of scholarship such as game studies and sound studies, for example. Moreover, the aesthetics of contemporary film do not merely simulate the environments created by digital technologies and media, but break more radically with the power geometries and cultural logics of twentieth-century cinema. In this way, they transmit the effects not only of digitization, but also of economic globalization and the ongoing financialization of human activities. In recent “accelerationist art” such as Neveldine and Taylor’s film Gamer, Steven Shaviro argues, “intensifying the horrors of contemporary capitalism does not lead them to explode, but it does offer us a kind of satisfaction and relief, by telling us that we have finally hit bottom.” (“Accelerationist Aesthetics”) As daily life is utterly financialized and cultural production wholly subsumed by capital, human endeavor cannot be understood outside of “work” or entrepreneurship, whether this is work on the self or on the job market. The conversion or reduction to the digital of almost every iota of human existence would seem to reduce art and entertainment (film, games), economics (banking, credit), and communication (personal, commercial) to a single plane of intangibility, to the ether. However, theories of post-cinema frequently resist or problematize this notion of vanishment and, on the contrary, strive to engage a materialist critique even when the object of analysis appears so insubstantial and elusive. Post-cinema is thus bound up in the neoliberal motor of perpetual capitalist expansion and subsumption; by unpacking the aesthetics of post-cinema, we also hope to foster new and developing analytical models that attend to the latest iterations of capital. In a parallel direction, and in a concerted effort to acknowledge and counter the frequent gender imbalance in scholarly discussions about film aesthetics and digital culture, the anthology also seeks to illuminate the ways in which post-cinema engages with established areas of inquiry in film studies, such as gender, race, class, and sexuality. But if post-cinema concerns the emergence of a new “structure of feeling” or “episteme,” new forms of affect or sensibility, then traditional scholarly forms and methods for investigating these issues are unlikely to provide adequate answers. Indeed, if the question of post-cinema is, as we suggested at the outset of these introductory remarks, a question of how 21st-century media help to shape and reflect new forms of sensibility, then any answer will necessarily involve engaging with a more speculative, broadly philosophical dimension of inquiry (see Denson, Shaviro, Pisters, Ivakhiv, and Hansen). For it will only be upon the basis of precisely these new forms of sensibility that we will be able to raise and answer the question of their transformative powers. The speculative thinking demanded by such a situation is intimately tied to the notion of post-cinema as an ongoing, non-teleologically determined transition, in the very midst of which we find ourselves. Of course, one general background for any discussion of post-cinema is the familiar debate over the supposed “end” of film or cinema in the wake of digitalization. But whereas many earlier estimations of this shift lamented or resisted the unfortunate passing of cinema, more recent theory has reversed or at least relaxed this backward-looking tendency and begun considering in a more prospective mode the emergence of a new, properly post-cinematic media regime. The notion of post-cinema takes up the problematic prefix “post-,” which debates over postmodernism and postmodernity taught us to treat not as a marker of definitive beginnings and ends, but as indicative of a more subtle shift or transformation in the realm of culturally dominant aesthetic and experiential forms. It is with this understanding in mind that we reject the idea of post-cinema as a clear-cut break with traditional media forms and instead emphasize a transitional movement taking place along an uncertain timeline, following an indeterminate trajectory, and characterized by juxtapositions and overlaps between the techniques, technologies, and aesthetic conventions of “old” and “new” moving-image media. The ambiguous temporality of the “post-,” which intimates a feeling both of being “after” something and of being “in the middle of” uncertain changes—hence speaking to the closure of a certain past as much as a radical opening of futurity—necessitates a speculative form of thinking attuned to experiences of contingency and limited knowledge. With respect to 21st-century media, theories of post-cinema inherit from postmodernism this speculative disposition, relating it to concrete media transformations while speculating more broadly about the effects they might have on us, our cognitive and aesthetic sensibilities, our agency, or our sense of history. Looking at objects ranging from blockbuster movies to music videos to artistic explorations of the audio-visual archive, and mounting interventions that range from critiques of post-cinema’s politics and political economy to media-philosophical assessments of our new media ecology or media-theoretical reflections on environmental change—the contributions to this volume collectively articulate post-cinema’s media-technical, aesthetic, ecological, and philosophical vectors in a way that helps develop a grounded but emphatically speculative film and media theory for our times. In order, then, to ground the discussion a bit more, it is perhaps worth acknowledging that not only the contributors but the editors as well have varying backgrounds and experiences that inform our understandings of post-cinema. Our own formative experiences of movies inflect our own attitudes and concerns as scholars, and in the interest of thinking through these experiences, we will indulge in some reflections on our pasts and their effects on our present. Quite contrary to mere nostalgia, we maintain that a critical examination of personal memories can strengthen our own understanding and deepen our ongoing engagements with cinema and, or including, post-cinema. I grew up in movie theaters in the 1970s and 80s. As a kid, I was lucky enough to live in a fairly large city where there were still single- or two-screen first-run and repertory neighborhood theaters. These public spaces were in transition, soon to change to second-run “dollar” theaters, and now not one of them still exists. But it was easy to walk the few blocks from my house to the Gentilly Woods Mall with neighborhood kids (unaccompanied by adults!) to see movies usually aimed at the “family” audience: Herbie Goes to Monte Carlo (1977) and The Wiz (1978) in particular stand out. That cinema had an exit that opened right onto the alley behind the mall, so we quickly realized we could send one kid in and wait for them to open up and let the rest of us in. The reason we stopped sneaking in this way, and possibly the last time we ever went there, was one of the formative moments in the construction of my racial identity. Instead of our friend opening the door, an adult white man in a tie (an usher? a manager?) appeared and looked at us in disgust. We were frozen—this was a dicey situation. But then he said something to our African American friends like, “Get away from here, you dirty n—–s.” And to me and my brother, both white, “What are you doing with them?” Instead of all of us feeling the same—busted and possibly in big trouble—he divided us into two discrete races. As a group, we had never (in my memory) discussed racial difference, and the humiliation of my friends filled me with shame. Of course, we turned and ran, but the space of the suburban shopping center cinema was altered for me forever. As I got older, getting in free at the movies got easier. I started hanging out at the Pitt Cinema, this time a repertory with grown-up movies (it was immortalized in Walker Percy’s novel The Moviegoer, a fact that didn’t faze us at the time). A friend’s brothers worked there and let us in for free whenever we wanted, with the grudging acquiescence of the owner, Lloyd, who found us tiresome but for the most part easy to ignore. Lloyd, like one of my friend’s brothers, was gay and nobody made much of a fuss about it. Thus it was a regular weekend activity for me and my friend to go to work with them and watch whatever was playing, taking time out to wheedle free sodas and popcorn if we thought we could get away with it. We didn’t work there, but I liked to imagine we did—such was the allure of a more grown-up life: free admission, grumpy gay boss and co-workers, esoteric movies. Here were movies that weren’t playing anywhere else: 2001: A Space Odyssey (1968), Beatles movie double- and triple-features, Harold and Maude (1971), and even gay-themed movies like La Cage aux Folles (1978). In my memory we were constantly on the verge of being kicked out, though probably this is distorted because we did in fact see dozens of movies there. The opening of 2001 we deemed preposterous and annoyed the grownup audience by giggling hysterically as the bone hurtled through the air in slow motion; Beatlemania infected us during A Hard Day’s Night and we were reprimanded for screaming along with the manic teens in the movie. Getting in free, hanging out, and watching unlimited movies gave us the license to walk in and out of whatever was showing, a privilege unthinkable for most kids our age, and we beamed with the knowledge that we were so blessed. So it seemed only natural that when I moved to New York for college, I regularly found myself riding the 1 train to hang out at the downtown cinema where my hometown friend at NYU worked: the 8th Street Playhouse. Another grouchy gay manager, more evenings spent lounging in the back rows or chatting with the candy girl, and even the weekend live shows accompanying the regular screenings of The Rocky Horror Picture Show (1975) soon became mundane. The Playhouse was the center of our social life; some of us worked there, the rest of us just hung out until their shifts ended, occasionally tearing tickets in a pinch. In the era before cell phones, it was easy to meet up there, go eat or drink for a couple of hours, and come back to feed friends or pick them up after work and then go out in earnest. In addition to watching Nightmare on Elm Street 3: Dream Warriors (1987) far too many times, I continued to develop my hanging out skills, all part of an economy of free admissions, pilfered sodas and popcorn, and the clandestine consumption of a variety of intoxicants. By the 1990s, the role of the cinema in my life completely changed from a social space to an expense, another part of my life that had to be budgeted and paid for. I was reduced to paying for tickets, attending the “dollar” movies as much as possible, and renting videos by the stack. Like most grad students, I couldn’t afford cable, so the independent video stores were my mainstay, with their heady mix of classics, curated staff picks, and new releases. Now those local Seattle institutions—Broadway Video, Scarecrow Video—are also gone. Moving to Japan at the turn of the millennium further alienated me from cinema life, given that the regular ticket prices were more than twice the going rate in major first-run cinemas in New York. As a film studies scholar, I scavenged videos everywhere I could, scouring the local rental shops for English-language movies in the original, or, much harder to find, Japanese and other non-Anglophone movies with English subtitles. Satellite television was common there, and the hype surrounding HDTV just beginning as terrestrial broadcasts were scheduled to phase out. This was also when piracy became part of my repertoire, whether bootleg DVDs from Korea or shaky cam downloads from Napster—it felt almost justifiable given the enormous lag in release dates and general scarcity of older movies in any form. Learning about transgression, whiteness, desire, and the business of movie exhibition and distribution, I realize now that not only were movies a major influence on my young life, but actual cinemas as well. How it came to pass that so much of my social life throughout my first two decades centered so closely on the spaces of particular cinemas, I never even wondered; nor did I immediately remark the fairly sudden disappearance of those spaces from my life. Yet my experiences rooted in the social spaces of these cinemas now seem inextricably bound to my preoccupations as a film and media studies scholar. It’s true that a certain measure of nostalgia permeates my recollections, yet I don’t feel threatened or befuddled by the rapid changes in film production, distribution, and exhibition over my lifetime thus far. Quite the contrary, I’m fairly optimistic that although kids today won’t experience what I did, they’ll instead find their own ways of coming to consciousness through moving-image media. Reading through Julia’s reminiscences, I am infected with that sense of nostalgia that she acknowledges creeping into them. In the early 1980s, I also spent a great deal of time hanging out at a suburban mall in a largish American city, and much of that time was spent in or around the movie theater there, which had sprung up with the mall in 1978 or 1979. Those were good times, though in retrospect hardly unproblematic ones, and Julia’s narrative of childhood innocence and its loss, and the role that the cinema played throughout it all, calls forth memories of my own early experiences. On second thought, however, my relation to the cinema was quite different, and the wistful associations evoked in me by Julia’s story of the back-alley exit through which she and her friends would sneak into the theater are based not so much on my own memories, but on a borrowed set of images and narratives—tales, whether true or false, that I overheard and appropriated from my older brothers and their friends, for example, but memories borrowed above all from the cinema itself. The nostalgia I feel probably has more to do with the movies I saw back then and their depictions of suburban life—movies like E.T. The Extra-Terrestrial (1982) or The Goonies (1985)—than with anything I experienced myself, “in real life.” In this respect, my nostalgia is a properly “cinematic” nostalgia, and I suspect that it is not altogether different from the feeling of longing for simpler times, for the romanticized “good old days,” that befalls many of us at one time or another—and that may very well be at the root of the sense of loss that certain scholars feel when they reflect on the way that celluloid has given way to digital video and that movies have largely moved from the big screen to a plethora of little ones. The cinema, that is, has in many cases already exerted a revisionary force and worked upon our memories of what the cinema itself could be and what it meant to us. Notions of post-cinema are inevitably caught in these feedback loops, and any assessment of the historical and affective changes signaled by the term will have to take seriously these entanglements, which continue to define us today. My memories and associations, then, are “cinematic”—but in what sense? They have been shaped, as I mentioned, by movies like E.T. and The Goonies, but as far as I can recall I never saw these movies in a movie theater. In fact, when I come to think about it, I really didn’t see an awful lot of movies at that six-screen cinema in the mall. I did see a few of the big blockbusters there: my parents took me to see The Empire Strikes Back (1980), for example, and I also saw Raiders of the Lost Ark (1981) on a big screen. But these movies, like E.T. and The Goonies, were really impressed upon my memory and made a part of who I was as a child through repeated viewings on cable TV. Indeed, my knowledge of “film” was shaped largely by HBO, Showtime, and the Movie Channel, all of which were delivering round-the-clock service to our home by 1981. It was thus on a bulky, late 1970s model Zenith wooden-cabinet console TV that many of my ideas of cinema were formed. On the same four-by-three color CRT screen which around the same time began displaying fast-paced music videos (“I want my MTV!”) and the simple but fascinating computer graphics of an 8-bit videogame console (“Have you played Atari today?”). Which brings me back to the question of what, if I wasn’t watching movies, I was doing hanging out at the movie theater all the time. Like many other kids my age, I was playing games like Pac-Man (1980), Centipede (1980), or Galaga (1981), or watching in awe as the more skillful older kids played them. To be sure, I loved going to the movies, but even when there was nothing showing that interested me and my friends, “going to the movies” could be a good excuse to sink a few quarters into these arcade machines. Later, the proximity of games and movies would change, both in my head and in the physical architecture of the mall, when a dedicated arcade space opened up across the way and only a few outdated machines remained in the cinema lobby. The cinema, if not “the cinema,” was in decline, and it continued to recede ever farther from my view over the next few years, as I began frequenting an arcade located far away from the mall and renting VHS cassettes of horror movies that, at my age, I could still not gain admission to at the movie theater. In the meantime, I had begun noticing that media formats generally were coming and going with what seemed like increasing speed. Within a year or two of purchasing my first 33 rpm album, I began seeing shiny little discs popping up next to the record stands. My brothers’ 8-track tapes, which I had never really given much thought to before, slowly started growing, in my imagination and in my hands, into absurdly large objects. Overnight and irreversibly, my longtime friend from next door took on a freakish appearance in my eyes when I saw that his family’s video recorder played odd-sized movies in something called “Betamax” format, and that they had hooked up an audio cassette player to their computer, itself hooked up to an old black-and-white television set. I didn’t know if they were living in the past or in the future, but they certainly weren’t living in the same time as me. Our own Atari 2600 started looking old when another friend got a ColecoVision for Christmas in 1982. But the great video game crash of 1983 would change all that soon enough, with the effect that hundreds of mediocre games suddenly became affordable to me on my weekly allowance. Thus, for the next few years, I spent all of my money on media that were essentially already relics. Throughout all of this, the cinema continued to occupy a relatively constant, if marginal or supplementary, relation to the rapidly changing media environment: cinema was the “content” of television and video, as Marshall McLuhan had pointed out several decades prior, and it was now also the nominal inspiration for such games as Atari’s Raiders of the Lost Ark (1982) or the much-ridiculed “adaptation” of E.T. (1982). But if this was essentially already a post-cinematic landscape—a claim that, to me, it seems plausible to make—it is worth thinking about the logic of supplementarity that structured that landscape. With Jacques Derrida, we can say that a supplement, in this case cinema, is never purely or unproblematically subordinated to the dominant term it is said to serve as an aid or appendage. And anyway: what, in this case, would that dominant term, or medium, be? Television? Video? Digital media? A case could be made for any of these, I suppose, but in terms of the rapid flux of media as an overall environment at the time, no single medium impresses me as clearly dominant—and this, to me, is what marks this transitional era as truly post-cinematic. Not because the cinema was dead, but because it was precisely un-dead. As a supplement, cinema was both content and medium, medium and message, host and parasite. Clearly, I did not think of things in these terms at the time, but I was noticing media everywhere, which meant that the denaturalization (not demise) of the once dominant medium, cinema, was so far advanced that even a child could register it. The speed of change, the introduction of new formats, obsolescence as the order of the day—all of these announced media, with cinema as one among them. I like to think now that I recognized, implicitly, the depth of material-technological change and its imbrication with economic impulses when the games market crashed, that my rummaging through the bargain bins into which all games cartridges had been cast echoed, somehow, with the quarters I had sunk into the arcade machines a few years prior, and that by dint of those machines’ proximity to film in the mall cinema, I was attuned to the sprawling network of relations among media in transition. I like to imagine, further, that I already had a vague feeling that the very ground of subjectivity, of perception, affect, and agency, was in the midst of shifting, as I noticed the depth of my (emotional and monetary) investments in technological formats that not only failed to work properly on occasion, but that regularly underwent systematic obsolescence and yet refused, in some ways, quite to die. Perhaps I am imagining all that. But I am not, I believe, imagining the relation of supplementarity by which post-cinema is irreducibly marked, and by which my experiences of it remain marked today: for as I have pointed out already, my earliest memories of post-cinema are themselves “cinematic” through and through. What these narratives demonstrate, if nothing else, is the multifaceted nature of what we are calling the post-cinematic landscape, and the multiple registers on which this new media regime has gradually transformed our experience. The transitions we have been describing affected us in quite different ways, articulating very different spatial, temporal, social, and material parameters for our respective experiences and the memories we have of them. Readers with different backgrounds will no doubt be able to tell very different stories of post-cinema. Your own account may emphasize a vastly different set of perceptual, political, emotional, or media-technological changes. It is our hope that this book will open spaces in which to assess these individual and collective differences, that it will provide opportunities to think through the various facets of post-cinema as an unevenly distributed historical transition, and that it will foster a conversation that is rich in perspectives, interests, concerns, and commitments. To this end, we have divided the book into seven parts, each centering around a different major facet of the conversation. First, laying some initial groundwork in Part 1, we seek to mark out some general “Parameters for Post-Cinema.” This first section features some of the opening gambits in post-cinematic theory, articulating several of the basic sites where a shift from cinematic to post-cinematic forms might be located: in the image, in editing practices, or in the larger media environment. Several of these chapters were previously published in open-access, online form. Along with Part 7, the last section of roundtable discussions, this opening section frames the collection with contributions that may still be available elsewhere online, but that we felt were significant in the development of this area of film and media scholarship. Together, they provide a useful introduction to many of the themes that continue to inform discussions of post-cinema and that will echo throughout the chapters of this volume. Part 3 delves into the “Techniques and Technologies of Post-Cinema.” Although post-cinema can in part be defined temporally, it is primarily demarcated by the rapid and pervasive shift from analog to digital technics of cinema. The elimination of analog projectors (and with them the unionized jobs of projectionists) and the prevalence of sophisticated digital and computer-assisted effects were quickly followed by the (still ongoing) transition among many filmmakers to shooting digital movies. These changes in the technological apparatus—as expressed in digital animation techniques, “bullet time” spectacles, 3D formats, and new ways of articulating image/sound relations—demand attention from film and media theorists, who can trace their reverberations in other areas of film scholarship. One area where they can be traced is in the realm of the political, which is the focus of Part 4: “Politics of Post-Cinema.” Cultural institutions such as cinema must always be studied with an awareness of their wider contexts, including an exploration of the historical, social, and political moments from whence they originate. Whether interrogating the roles of race, gender, sexuality, or political economy, these chapters extend the parameters of post-cinema beyond aesthetics and phenomenology, and into the realms of politics, biopolitics, and ideology. Part 5 inquires into the place of post-cinema in the longue durée of moving-image history, and its chapters initiate a series of much-needed “Archaeologies of Post-Cinema.” Far from constituting a radical break with earlier cinematic eras, post-cinema enjoys myriad continuities and ongoing intertextualities with, for example, silent movies, pre-cinematic representational forms, gallery art practices, and even blockbuster event movies. 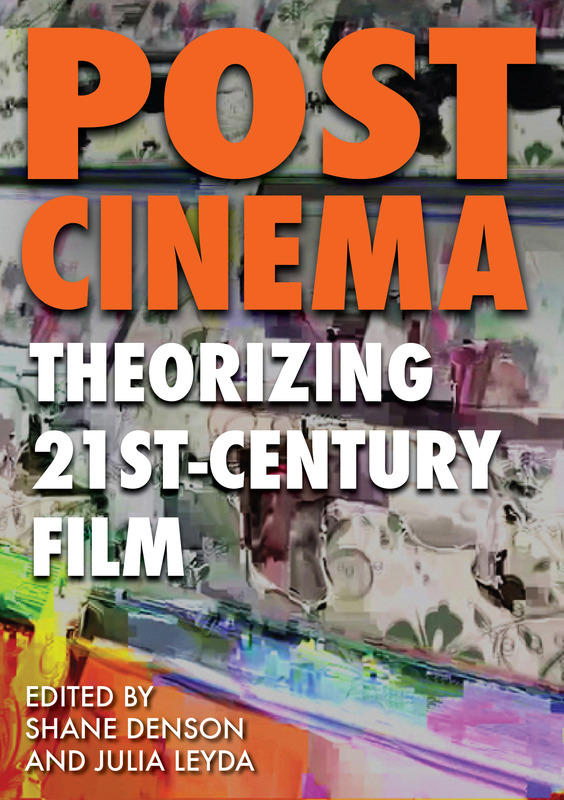 Very much in the spirit of media archaeology (see Parikka; Huhtamo and Parikka), the chapters collected in this section complicate any linear history of post-cinema by unearthing links and resonances across historical periods, discourses, and technologies. Part 6 turns its attention to what can broadly be termed “Ecologies of Post-Cinema.” These studies emphasize the material involvements of cinematic and post-cinematic media in environmental change; they look at post-cinematic representations of ecological disaster and extinction; they conceive contemporary media as themselves radically environmental; or they think about the changing environments and infrastructures of post-cinematic venues. Finally, Part 7 closes the volume with a set of “Dialogues on Post-Cinema.” While the digital turn in moving-image media constitutes one of this book’s major media-technical subjects, the digital turn in academic scholarship constitutes an equally crucial media-technical factor in the book’s form—and, indeed, in its sheer possibility as an open-access volume. This turn, which has been central to the emergence of the “digital humanities,” enables scholars to conduct conversations via electronic media and to share them publicly via the Internet. Three of the roundtable discussions included in this section were initially published online, in La Furia Umana and In Media Res, while the final one was initiated specifically for this volume. Some of the ideas first explored in these conversations later developed into sustained works of scholarship, even if the open-access, online “immortality” we aspired to petered out into dead links. These less formal, less structured academic exchanges can open up a wider range of topics and tangents than a traditional single-authored essay, and their more conversational tone ensures that they are highly accessible. The collaborative nature of these exchanges also foregrounds the value of such all-too-rare group efforts, as different scholars’ ideas fuel one another and inspire responses that push us farther than we could have gone alone. We are pleased to close out the volume with this section, which includes discussions that initially inspired our thinking about this book, that generated core ideas for several of its chapters, and that continue, several years later, to take the conversation in new directions. Bordwell, David. “Intensified Continuity: Visual Style in Contemporary American Film.” Film Quarterly 55.3 (2002): 16-28. Print. Deleuze, Gilles. Cinema 1: The Movement-Image. Trans. Hugh Tomlinson and Barbara Habberjam. Minneapolis: U of Minnesota P, 1986. Print. —. Cinema 2: The Time-Image. Trans. Hugh Tomlinson and Robert Galeta. Minneapolis: U of Minnesota P, 1989. Print. Denson, Shane, Steven Shaviro, Patricia Pisters, Adrian Ivakhiv, and Mark B. N. Hansen. “Post-Cinema and/as Speculative Media Theory.” Panel at the 2015 Society for Cinema and Media Studies conference, Montreal. 27 March 2015. Videos online: <https://medieninitiative.wordpress.com/2015/05/24/post-cinema-panel-complete-videos/>. Derrida, Jacques. Of Grammatology. Trans. Gayatri Chakravorty Spivak. Baltimore: Johns Hopkins UP, 1976. Print. Foucault, Michel. The Order of Things: An Archaeology of the Human Sciences. New York: Vintage, 1973. Print. Huhtamo, Erkki, and Jussi Parikka, eds. Media Archaeology: Approaches, Applications, and Implications. Berkeley: U of California P, 2011. Print. McLuhan, Marshall. Understanding Media: The Extensions of Man. London: Routledge, 1964. Print. Parikka, Jussi. What is Media Archaeology? Cambridge: Polity, 2012. Print. Percy, Walker. The Moviegoer. New York: Vintage, 1961. Print. Shaviro, Steven. “Accelerationist Aesthetics: Necessary Inefficiency in Times of Real Subsumption.” e-flux 46 (2013). Web. <http://www.e-flux.com/journal/accelerationist-aesthetics-necessary-inefficiency-in-times-of-real-subsumption/>. —. Post-Cinematic Affect. Winchester: Zero, 2010. Print. —. “Post-Continuity.” Text of a talk delivered at the Society for Cinema and Media Studies 2012 annual conference. The Pinocchio Theory. 26 Mar. 2012. Web. <http://www.shaviro.com/Blog/?p=1034>. Rpt. in this volume. Williams, Raymond. “Structures of Feeling.” Marxism and Literature. Oxford: Oxford UP, 1977. 128-35. Print. Shane Denson is a DAAD postdoctoral fellow at Duke University, where he is affiliated with the Program in Literature, the Department of Art, Art History & Visual Studies, and the Information Science + Studies Program. He is also an assistant professor at the Leibniz Universität Hannover and a member of the interdisciplinary research unit “Popular Seriality—Aesthetics and Practice,” based at the Freie Universität Berlin. From September 2016, he will be Assistant Professor of Art & Art History (teaching in the Film & Media Program) at Stanford University. He is the author of Postnaturalism: Frankenstein, Film, and the Anthropotechnical Interface (Transcript-Verlag / Columbia UP, 2014) and co-editor of several collections: Transnational Perspectives on Graphic Narratives (Bloomsbury, 2013), Digital Seriality (special issue of Eludamos: Journal for Computer Game Culture, 2014), as well as the present volume. ​Julia Leyda​ is Senior Fellow in the Institute for Advanced Sustainability Studies, Potsdam, as well as Fellow with the DFG Research Unit “Popular Seriality–Aesthetics and Practice” and Senior Research Fellow in the Graduate School for North American Studies, both at the John F. Kennedy Institute, Freie Universität Berlin. In August 2016, she will take up an Associate Professorship of Film Studies in the Department of Art and Media Studies at the Norwegian University of Science and Technology in Trondheim. She is editor or co-editor of Todd Haynes: Interviews (UP of Mississippi, 2014), Extreme Weather and Global Media (with Diane Negra, Routledge, 2015), and The Aesthetics and Affects of Cuteness (with Joshua Paul Dale, Joyce Goggin, Anthony P. McIntyre, and Diane Negra, Routledge 2017). She is author of American Mobilities: Class, Race, and Gender in US Culture (Transcript, 2016), and is working on two new books: Home Economics: The Financialization of Domestic Space in 21st-Century US Screen Culture and Cultural Affordances of Cli-Fi: 21st-Century Scenarios of Climate Futures.